Tomorrow night at Shelter, and Saturday night at Dada Beijing, we are very excited to present one of the most exciting talents to come out of London in the last few years, VISIONIST! Below is a bit more info on Visionist and also our second special guest for the night, PUZZLE, but first off check out this deadly mix of 100% own productions he did for Dusk & Blackdown’s Rinse show. 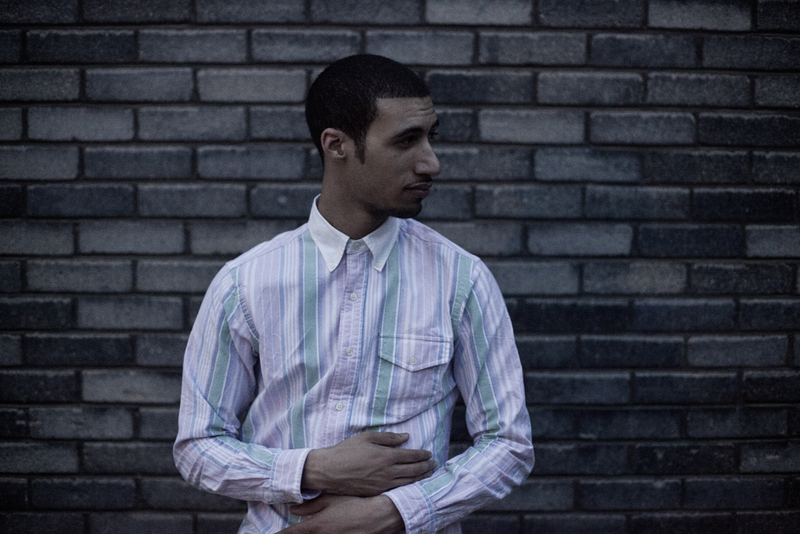 South London based producer Visionist came up in uk scene in 2011 after gaining support from DJ Oneman with tunes such as ‘Come In’ & ‘Mr.67’. Over the last couple of years Visionist made serious waves and has since seen release on Dusk & Blackdown’s Keysound Recordings, Desto’s Signal Life and 92 Points. His music takes influence from many genres but is deeply rooted in UK Grime, where he began, and all with a dark, fresh twist of his own. With the track ‘Something Old, Something New’ being one of the highlights on Kode9’s recent Rinse Mix CD, and his new self released EP ‘Crying Angels’, a selection of remixes of classic Grime tracks plus the astonishing new cut ‘Your Eyes Were Green’, Visionist is quickly establishing a big name for himself and stands out among his peers. The next few months will see a 4 track EP released on Berlin’s Leisure System, as well as an EP for Rashad and Spinn’s Lit City! But thats not all! Joining Visionist, as a special treat, we also have the return of Leisure System’s Puzzle! With over 10 years experience of production and dj’ing, Puzzle is resident at the mighty Leisure System night at Berlin super club Berghain, and also co-runs the Leisure System record label. Having played some of the biggest clubs and festivals around, Sonar, Dimensions, Arma 17, RedBull Music Academy, Nitsa, XOYO, Shelter, Dada, Puzzle always brings a playful mix of genres to the dance floor while relentlessly throwing down bass heavy bangers. Leisure System records are just about to release an EP from Visionist, as well as the much anticipated new material from Dopplereffekt, so we are very excited to see what he has in store for us this time around! Sub-Cinema Giallo Month Kicks Off @ Dada – Tonight!! This is the month we’ve been waiting for for quite some time now. Throughout the month of April Sub-Cinema presents a season of Italian murder mystery classics – GIALLO SEASON!! Giallo (Italian pronunciation: [ˈdʒallo], plural gialli) is an Italian 20th century genre of literature and film, which in Italian indicates crime fiction and mystery. In the English language it refers to a genre similar to the French fantastique genre and includes elements of horror fiction and eroticism. The word giallo is Italian for “yellow” and stems from the origin of the genre as a series of cheap paperback mystery novels with trademark yellow covers. With Argento’s trademark visual style, linked with one of his more coherent plots, Tenebrae follows a writer who arrives to Rome only to find somebody is using his novels as the inspiration (and, occasionally, the means) of committing murder. As the death toll mounts the police are ever baffled, and the writer becomes more closely linked to the case than is comfortable. Arguably one of Dario Argento’s best, Tenebre is almost the perfect example of Giallo cinema. Slick filming, fantastic story and an amazing soundtrack by the one and only Goblin (the main theme has been heavily sampled by Daft Punk among others), its the perfect way to kick off our Giallo season! For February’s movie schedule we are excited to present a season of some of the funkiest 70’s flicks around, our Blacksplotation special!! The term ‘Blacksploitation’ was coined in the early 70’s to describe an ethnic sub-genre of the general category of exploitation films. Featuring a predominantly, if not full black cast, the genre was initially made specifically for an urban black audience, but quickly appealed to a much wider group of people. Spanning various subtypes of films such as crime, martial arts, westerns, horror and comedy, one thing that almost certainly features heavily throughout the blacksploitation genre is the use of amazing funk, soul and jazz soundtracks with many of the greatest composers and song writers of that time creating some of their best work for movies. Dry humour, sharp language, amazing wardrobes and slick soundtracks – get ready for one hell of a month of bad assssss cinema! For the first time in almost 2 and a half years, Sub-Cinema are playing a movie for the second time. The first movie we ever screened, how could we do a Blacksploitation month without the funkiest woman herself – Pam Grier, in possibly her best role – COFFY! Coffy, a beautiful young nurse, is fed up with the narcotics that have infiltrated the inner city. When her eleven-year-old sister is hospitalized after shooting some contaminated heroin, Coffy sets out on a mission of vengeance and vigilante justice, killing drug dealers, pimps, and mobsters who cross her path. Coffy was Pam Grier’s first ever lead role and instantly became a blaxploitation classic. One of the main inspirations for Quentin Tarantino’s Jackie Brown (also starring Grier as the lead) Coffy combines a great plot, killer script and some of the funkiest outfits you’ve ever seen, all accompanied by a fantastic soundtrack provided by the one and only Roy Ayers! The perfect way to kick off Sub-Cinema’s Blacksploitation season! No Blacksploitation series could ever be without the black Bruce Lee himself – Mr Jim ‘The Dragon’ Kelly, in one of his most celebrated roles – BLACK BELT JONES! A Mafia buy out of Papa Byrd’s karate school downtown ends up getting violent and results in his death, but Byrd’s daughter, Sydney, refuses to sell and wants revenge. When things start looking tough for the school, Papa Byrd’s top student Black Belt Jones teams up with Sydney to dish out some sweet, funky revenge! After winning an International Middle Weight Karate competition in Long Beach, James M Kelly, aka Jim ‘The Dragon’ Kelly, opened up his own Dojo and, after teaching karate to actor Calvin Lockhart for his role in ‘Melinda’, ended up getting involved in acting himself. Kelly is best known for his role in Bruce Lee’s ‘Enter The Dragon’ but he has also starred in a whole slew of black martial arts classics including ‘Three The Hard Way’, ‘Hot Potato’ and ‘Black Samson’. Black Belt Jones is a hard hitting, sharp kicking blacksploitation classic with a killer soundtrack by the great Dennis Coffey! Fred Williamson is imposing, tough and unflappable as a street kid who muscles his way into the big-time mob racket in this super slick crime drama! Tommy Gibbs (Williamson) has always had it tough. Growing up on the streets without a father and trying to make his mother proud, Tommy resorts to running errands for The Man. But when a crooked cop beats him up, Tommy realizes there’s a better way to live – by making the man deliver for him! Infiltrating, and then destroying, the infamous Cardoza family, Tommy takes over Manhattan as the first black Godfather and puts the squeeze on anyone who dares get in his way. But as he tightens his grip on others, he loses his hold on the most important things in his own life, making him the vulnerable target of every cutthroat gangster who ever dreamt of ruling an empire! After retiring from his career in American Football, Fred ‘The Hammer’ Williamson took to the big screen and starred in some of the best blacksploitation movies ever made, as well as later starring in a whole array of movies including Rodriguez’s ‘From Dusk Till Dawn’ and even a cameo in Snoop Doggy Dogg’s ‘Doggy Dogg World’ music video. Black Caesar was by far his most celebrated role in the blacksploitation genre, and paired up with a soundtrack by the godfather himself, Mr James Brown, Black Caesar is one cat not to mess with! Hail Caesar, Godfather of Harlem…The Cat with the .45-Caliber Claws! Tuesday 28th February – Sub-Cinema Double Bill! Rounding off a great month of blacksploitation we present a double bill from the funkiest corners of hell – Blacula and Scream Blacula, Scream! He’s the black avenger. He’s Dracula’s soul brother number obe. He’s the baddest creature to hit the midnight hour since Dr Funkenstein was risen from the groove. He may be one of the slickest, meanest vampires ever unleashed onto the silver screen but he ain’t no sucker. He’s BLACULA and he’s one strange dude with a thirst that needs to be satisfied. Brilliantly inventive and overflowing with atmospheric horror chills, BLACULA’s blood thirsty celluloid legacy makes the perfect Sub-Cinema double bill! With a magnetic performance from thespian actor Mashall Williams as the black Prince of Shadows and a funked up, killer soundtrack from famed producer/composer Gene Page, BLACULA raised the standards for blacksploitation cinema. Along with Superfly, Shaft and Coffy, it remains a cult classic! SCREAM BLACULA SCREAM rises above is b-movie status with enough lush cinematography to give Hammer Horror a run for its money. Taking things to a new level is seventies icon Pam Grier (Coffy) as a shapely voodoo priestess in this tale of black magic and revenge! Sonic explorations for internal conflict. A surgical selection of House, Electro, New/Dark/Cold/Synth Wave, Industrial, Techno, EBM, Disco on this theme. Ok slow week this week on the blog. Not because we don;t have anything to write about (on the contrary, we’ve got loads of articles we’ve been meaning to put up) but because we’ve only just pieced together our minds from last weekend. 2 cities, 3 festivals and 4 gigs in 3 days with very little sleep! ‘The best monthly dance party in Shanghai, banging hard for the 10th time now, not including the one-offs like the 七夕special! Great music played by real DJs, cheap drinks that don’t contain antifreeze (RMB20 Beer, RMB30 – 40 Cocktails, Bottles from RMB400), a nice sound system with lots of bass, big vibes, and loads of characters. 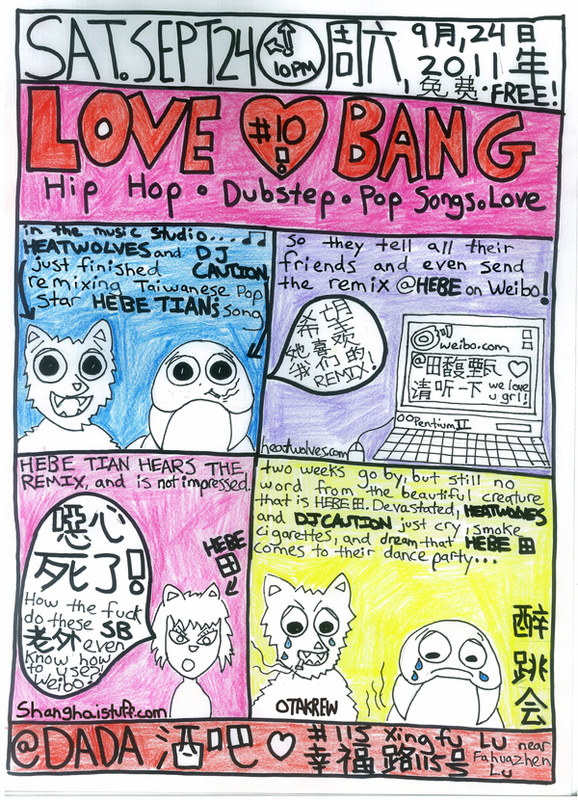 We play hip hop, dubstep, ghetto house, dirty south, some pop songs, and lots more. Dance floor …stays packed all night. Starts at 10PM and goes till it’s time for 煎饼. DJ Caution from LA – killing the game for fifteen years. serious skills. i’ll warm up, Caution plays dat peak time set. Sub-Cinema + DJ Fathom & Isis Salem Tonight!! As most of you know, every Tuesday evening Sub-Culture hosts a cinema night at Dada Bar in Shanghai. This week we are playing one of our favorite Romero joints – Martin! If you haven’t seen this one before then try and get down tonight, its a fantastic movie and a very interesting take on the whole vampire thing. Doors open at 8 and film starts around 9. Its free entrance and there is free popcorn. Its been getting pretty busy recently so if you want a good seat then we recommend getting down there before 8.30. But thats not all! We’ve just had word that Isis Salem (from Thunderheist) and DJ Fathom are in town and are up for doing a surprise performance after the movie. So there you go, a great film and some live music all for free tonight at Dada! See you there! Steven Lorenz and Esia meet Heatwolves – Tonight!!! 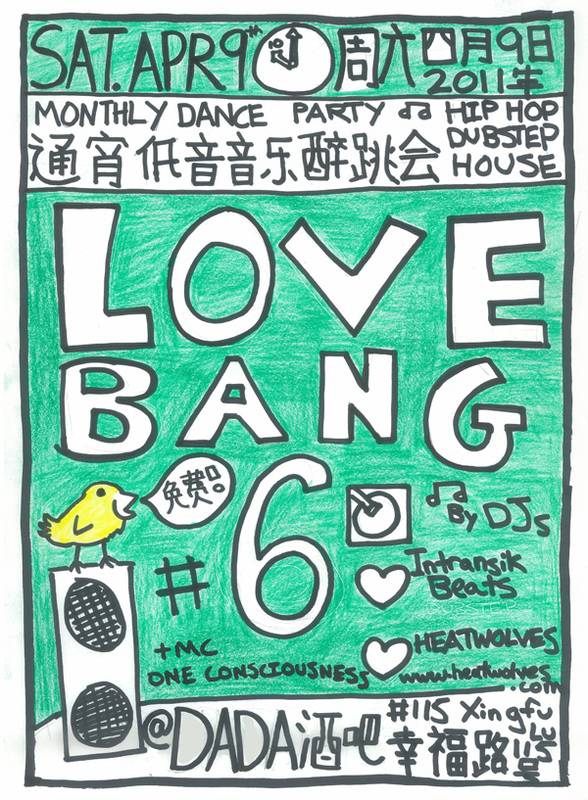 Just a quick heads up for you all (especially as i forgot the bass around asia this week) that Sub-Culture Soldiers Steven Lorenz and Esia are joining Heatwolves at his monthly Love Bang party at Dada! I had the pleasure to play there last month and it was a lot of fun, I think I was spinning till like 5.30am! 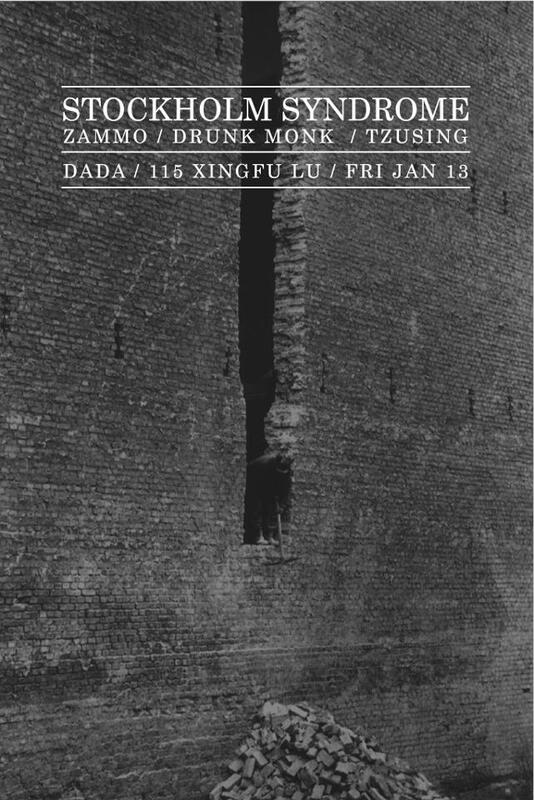 Anyway, if your in Shanghai get your weekly bass fix on 115 XingFu Lu tonight!